A friendly weight scale has given in-form mare Volkoff a chance to break her hoodoo over 1200 metres at Doomben. Co-trainer Bryan Guy has been adamant since taking over the former Perth mare from Gary Crispin that she can win at 1200m, a feat that has eluded her in seven other attempts. Volkoff has won 12 races, all at 1000m or 1100m. She has run two seconds at 1200m including one in Listed company. 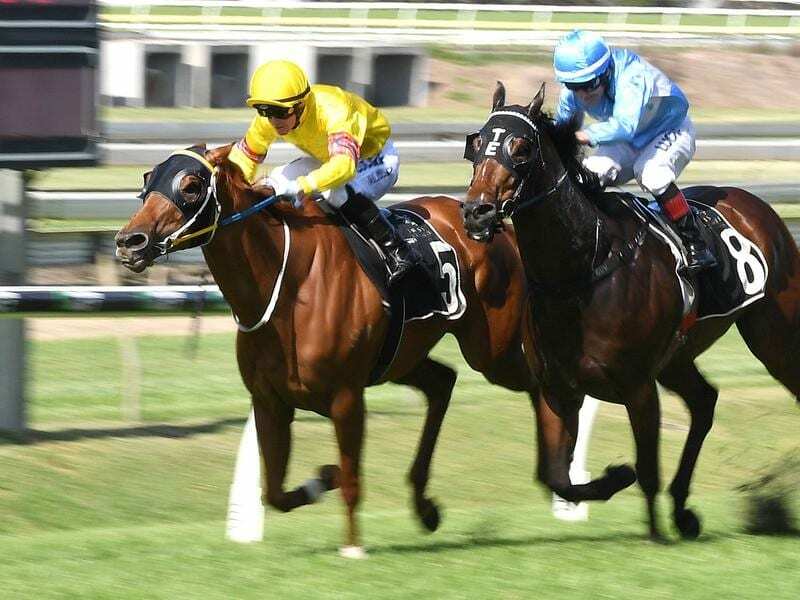 Guy is even more confident she can break the 1200m hoodoo after studying the weights for the Listed Legacy Classic at Doomben on Saturday which is a set weights plus penalties race. “She does look nicely placed on Saturday when you consider she was won two stakes races in Perth,” Guy said. Volkoff was sent to Queensland to be sold as a broodmare at the Magic Millions National Sale. But when she failed to make her reserve price it was decided to send her to Guy and his son and training partner Daniel. They have done a great job with Volkoff who was won $104,000 since joining the Guy stables. “She has really bloomed here and has won two of her past three starts and has run second at the other on a wet track,” Guy said. Guy believes Volkoff is ideally drawn in barrier seven and it should give her every chance to run out the distance. “She should be able to get cover and have the last crack at them,” he said. Guy said because Volkoff had missed the breeding season she would probably race on into next winter.